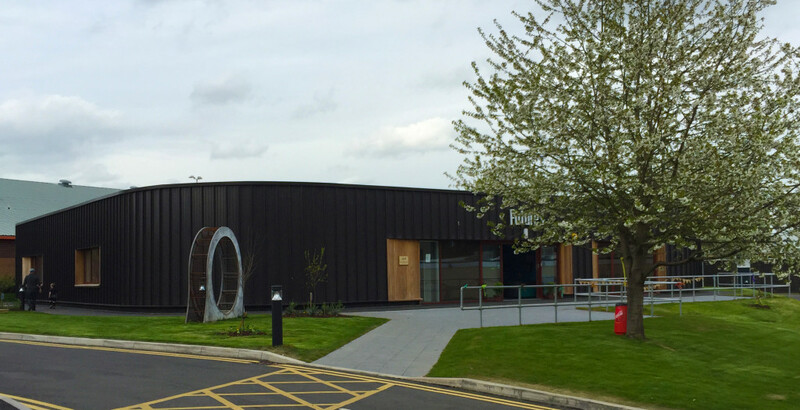 The Futures Centre, part of the Severndale Specialist Academy, is located on the campus of Shrewsbury College and helps 16 – 18 year olds, who have a range of learning difficulties, integrate with society through vocational activities. Pupils gain practical experience through workshops at the centre, making and selling products such as ceramics and jewellery. Students gain experience working in the kitchen preparing food (some of which is grown in the kitchen garden) which provides the young people with valuable skills. 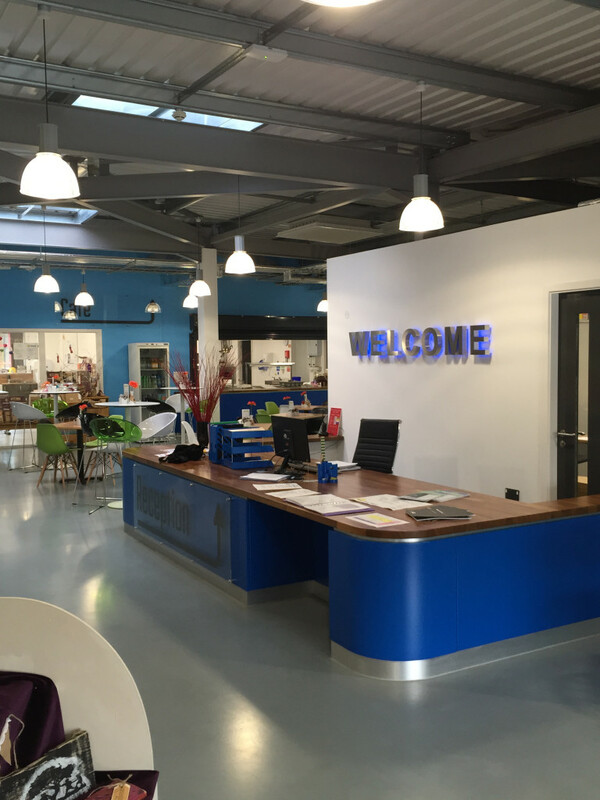 The Centre has links with local employers to provide opportunities for work experience placements. The concept plan of the building is centred around a central social space. The central area has a large glazed roof section to allow for ventilation and to bring natural light into the building. This space is used for group activities as well as providing a cafe for students, staff and visitors. 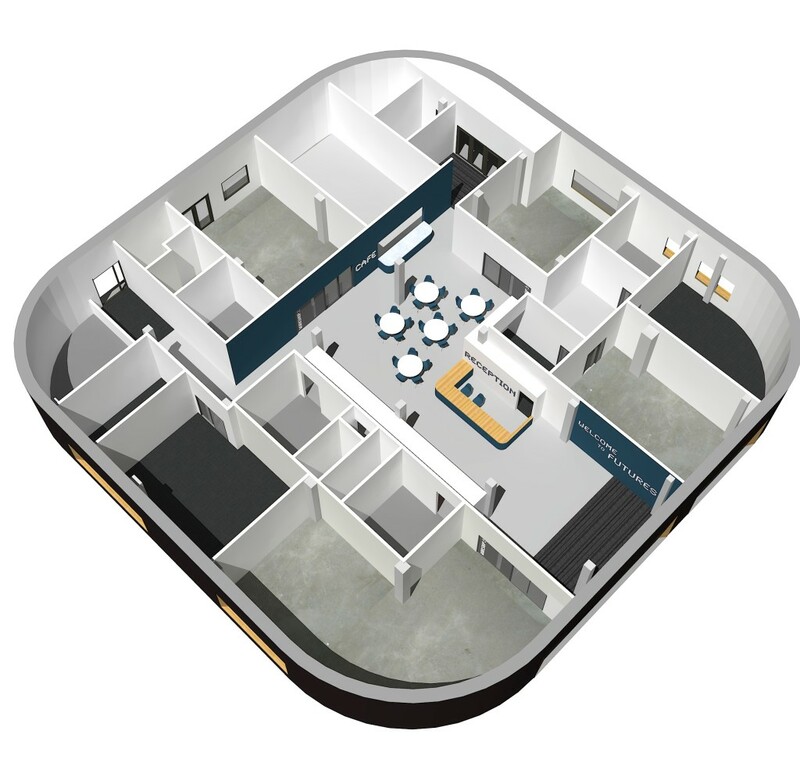 The building provides a range of large workshop areas and circulation spaces, along with smaller support rooms to allow teaching staff to deal with student behaviour issues. 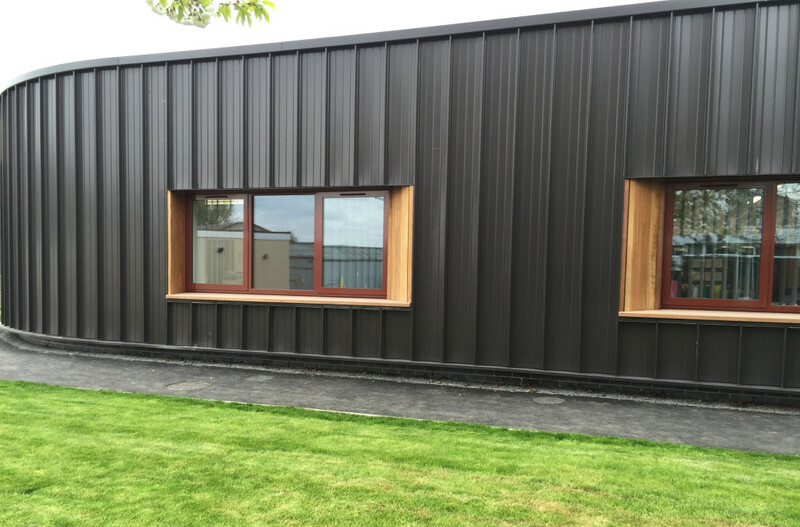 Externally, metal cladding has been used with a vertical section to emphasise the form and rounded corners of the building. New double glazed windows and surrounding timber reveals break up the mass of elevation. The curved corners provide a “softness” to the building and seek to break away from a traditional front and back. The design of the building has been based on developing a close relationship with external landscape i.e. the ‘inside’/‘outside’ relationship is a key generator of the sequence of space: arrival at the entrance, onto the community and social spaces, then to the “calm down” areas and ultimately the teaching / workshop areas. 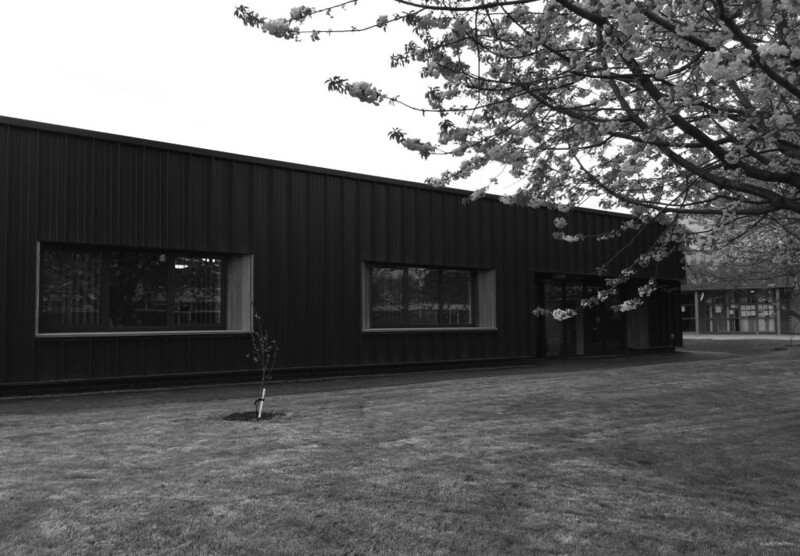 In order to support the ongoing development of pupils at the academy, the external landscape is a key design feature. 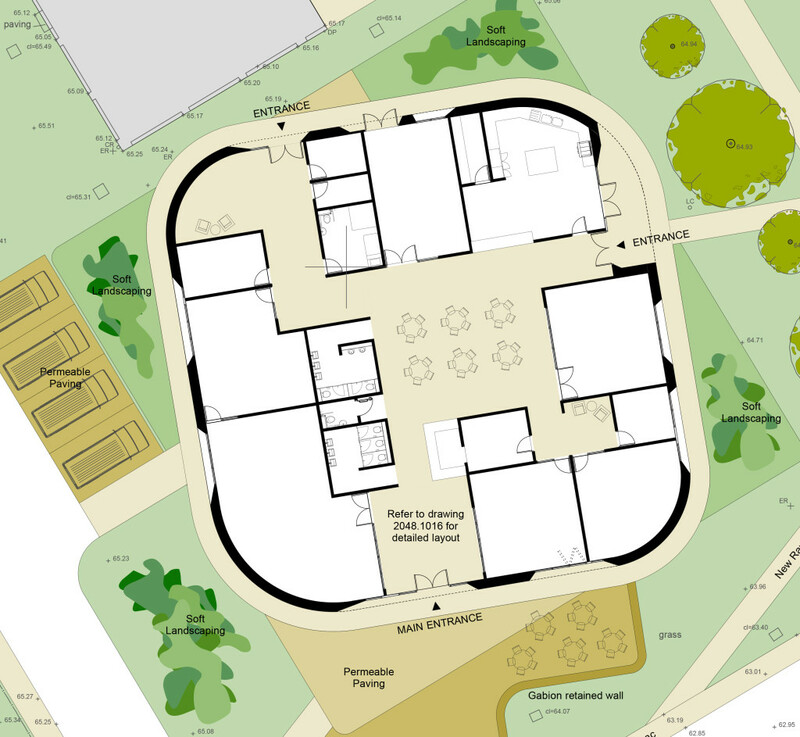 The garden layout has been designed by Mike Russell who has worked successfully with Severndale at their existing school. Soft landscaping and gently banked turf edging provides an intimate and private setting without the need for fencing. The ‘rounded’ square plan form of the building has been rotated to offer a ‘soft’ form as a contrast to the rectilinear nature of the surrounding buildings. The twist of the plan is reflected in the basic landscape pattern around the school with triangular corner spaces providing a degree of privacy, shelter and containment. These corner spaces contain a variety of standard and bush fruit trees, a wildflower meadow mound orchard, sensory gardens and simple seating. The natural landscape around the building offers both a ‘visual’ amenity from within the building and a sequence of sensory gardens which are a central theme to the ethos and teaching methods of the school.